Twenty-seven years ago, Matthieu Ricard gave up a promising career as a scientist to study Tibetan Buddhism - not as a detached observer but by immersing himself in its practice under the guidance of its greatest living masters. 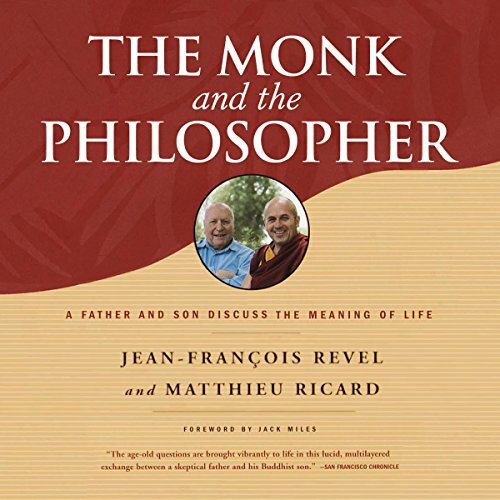 Years later, this project was born, and Richard met with his father, Jean-Francois Revel - a French philosopher who became world famous for his challenges to both Communism and Christianity. At an inn overlooking Kathmandu, these two profoundly thoughtful men explored questions that have occupied humankind throughout its history: Does life have meaning? What is consciousness? Is man free? What is the value of scientific and material progress? Why is there suffering, war, and hatred? Utterly absorbing, inspiring, and accessible, that conversation became this remarkable dialogue - one that engages East with West, ideas with life, and science with the humanities, providing wisdom concerning how to enrich the way we live our lives.